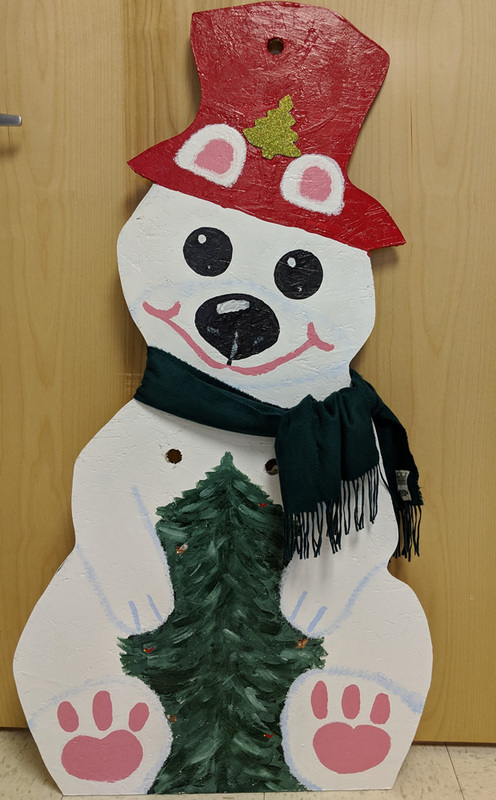 Our activities Director Cindy added her creative touch in painting and designing our Pine Grove Polar Bear "Piney" for the Geneva City Winterfest snowman contest. All entries are placed on the light posts in the center of town for everyone to vote. Our Activities department has participated in this contest for several years. Geneva Winterfest is February 2nd.